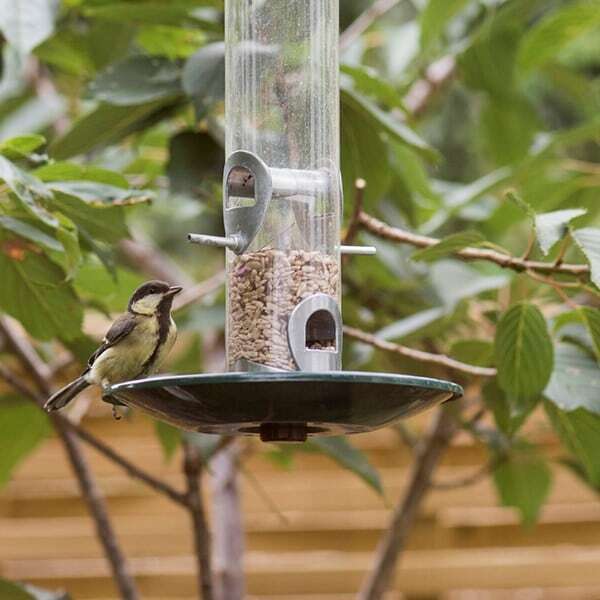 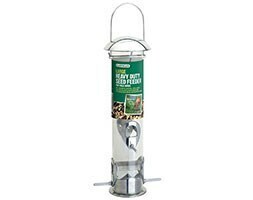 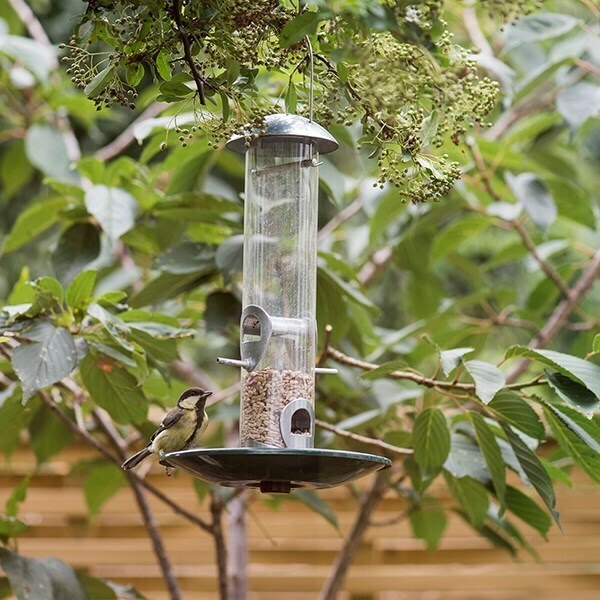 This clever little device screws onto the base of our standard feeders. 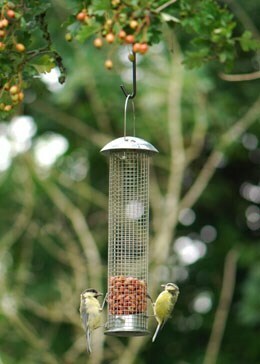 Not only is it another place to perch, but the bowl catches any seed that falls whilst the birds are feeding. 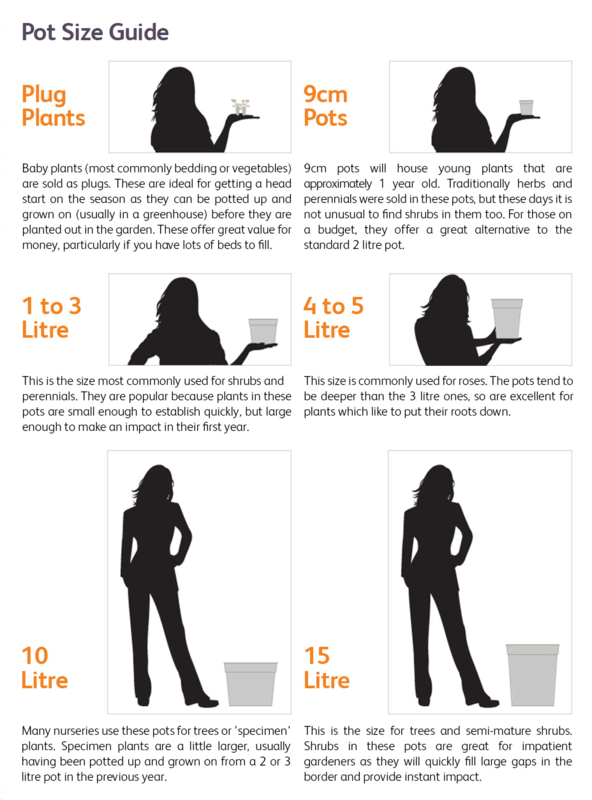 No more rogue seedlings shooting up in your border.